When considering to get married in Islam there are a lot of factors that should be taken into account because marriage is a lifetime of commitment and Allah holds it very dear for His creation. It is one of the most loved relationships in the eyes of Allah and we must ensure that before we jump into it we have all our bases covered. What does this entail? Allah and His Prophet Mohammad (PBUH) have asked us to go for a number of factors before we chose our spouse. One of the most important characteristics of choosing a spouse for Muslim Marriage is to look at his deen. 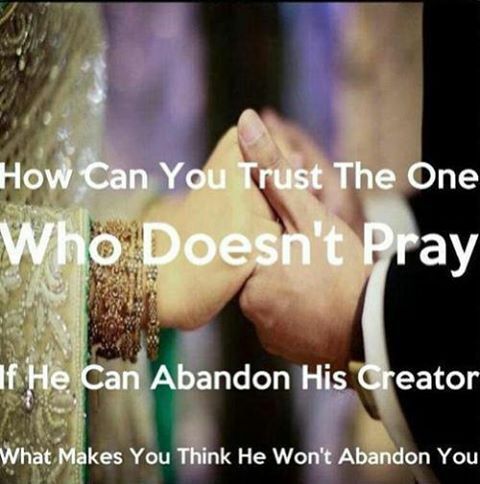 Is he or she close to Allah? Do they connect with Him on the same level as you do? This is easy to find out when you speak to and observe the person. One must be careful that while the potential spouse may be deendaar, it should not only be the deen that covers physical aspects. So if the person has a long beard for example, and is disrespectful to his elders, that is not a person that you should marry. If the brother is rich, has loads of money and property and does not have the kindness in his heart, then that is not a person a sister should consider for marriage. In the same way if the sister covers her head and does not have the love in her heart and kindness in her soul then one must not consider her. Same goes for physical appearances. We must remember that the entire creation of Allah is beautiful and we are in no way liable to judge the “looks” of a person based on what society has deemed fit to be the definition of ‘good looks”. When you’re judging a person’s looks, remember that you are judging the ability of Allah to create and are we truly in that position, being His creations ourselves, to judge? Certainly not! What we as Muslim brothers and sisters should do is to go for the beauty of the person. The beauty entails the character of the Muslim, the personality that he or she has grown with, the kindness of his heart and the happiness of his or her soul. THAT is what real beauty is and THAT is what will be useful in your marriage. Money will come and go and looks will fade but the beauty of your heart and your spouse’s heart will remain and that is what will make you survive in your relationship and take you to Jannah.